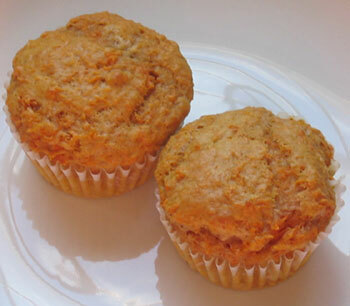 Description: These dog healthy muffins are packed with the flavors dogs love. They will think they are eating people food! In a bowl, mix together honey, water, applesauce, vanilla and egg. In a separate bowl, mix peanuts, flour, baking powder, cinnamon and nutmeg. Add wet ingredients to the dry ingredients and stir, mixing well. Spoon into a greased muffin tin, filling each cup 2/3 full.